The challenge with Architectural Visualization is how to stand out from the crowd. Our Solution is to tell a Story. 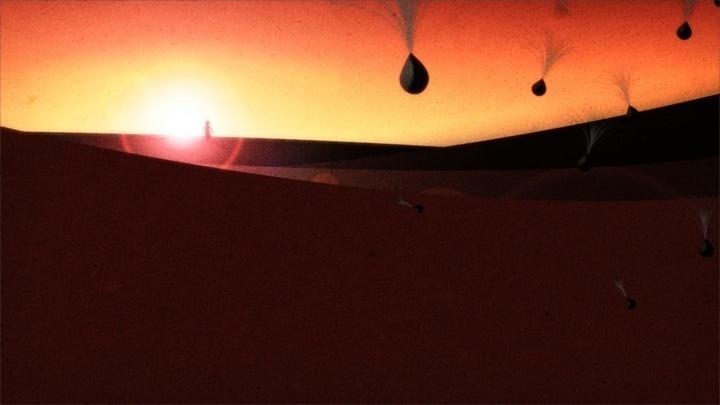 Our Story for Barton Willmore's film for Saudi Arabia invoked a Young Boy in traditional garb standing on a Desert Dune who catches a windblown seed that he then plants. From this seed springs the visualizations of the projected development in the Saudi desert. The child in an emotive appeal calls for the a city that will grow organically with its inhabitants, the children of the future, and be in harmony with its environment and sustainable in energy and water. The Organic Architectural Concept called for an innovative approach that avoided the normal gleaming glass and chrome towers and appealed on a more emotional, caring level to the audience. Lost In Space was very pleased to be involved in such a innovative proposal and brought all our skills to bear to create a strong communicative message in the film on a challenging budget and deadline.